EDITOR’S NOTE: After this letter to the editor published online Aug. 21, 2014, the Sierra Sun learned the author, Will Coggin, misidentified himself as a senior research analyst for the Washington, D.C.-based nonprofit Environmental Policy Alliance. Mr. Coggin is actually employed by Berman and Co., a public relations firm operated by former lobbyist Richard B. Berman. Berman and Co. controls the Environmental Policy Alliance, which “itself has no employees,” Berman spokesman Alex Fitzsimmons said. The Sierra Sun regrets publishing this misinformation. 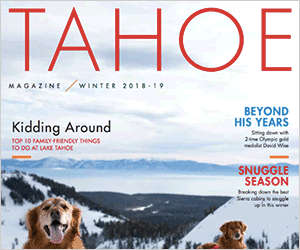 While relocating stranded fish and efforts to promote angling by the Truckee Chapter of Trout Unlimited (TU) are commendable and uncontroversial, readers should be aware that the activities of Trout Unlimited’s national headquarters are far less so. The national office’s board is stacked with prominent liberals and Democrats, including a former Congressman, numerous former officials of various environmentalist groups, and a former senior staffer in Democratic Senate Leader Harry Reid’s office. No wonder then that TU was chosen by the liberal Pew Charitable Trusts to seed the even-further-left, Big Labor-allied Theodore Roosevelt Conservation Partnership. The national office of Trout Unlimited may make a big statement about being about preserving fish and streams for anglers, but its real objective is to keep the big streams of left-wing money flowing into its coffers. Local TU activists should be concerned about whether they are being used as pawns for wealthy foundations’ ideological agendas.